There’s simply no better way to keep your vehicle in top condition than using Fuso Genuine Parts. Engineered to fit perfectly and uncompromising on materials, they’ll help you spend more time on the road and less in the workshop, which can save you money in the long run. Every commercial vehicle owner knows that keeping costs down is a priority. Choosing Fuso Genuine Parts helps keep your vehicle running as smoothly and efficiently as the day it left the factory. That means it’ll keep going and going and going, lowering your total cost of ownership. 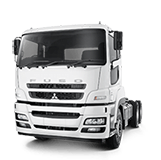 Fuso Genuine Parts are guaranteed for fit, tolerance and performance. Equally, when it comes to service, only an authorised dealer has access to Fuso specific technical information, diagnostic equipment, special tools, factory training and support. So together, Genuine Parts and Service represent the best way to keep your vehicle in top condition. Staying genuine provides you with the highest level of protection. Here’s why. 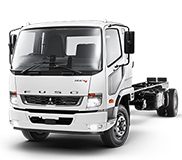 All Fuso Genuine Parts are backed by a 12 month, unlimited kilometre warranty. And if you get them fitted by your Fuso dealer, we’ll double the genuine parts warranty to 24 months. In the unlikely event that a genuine part fails, you’re protected against consequential damage. This means, Fuso not only covers the cost of the replacement part, but also the cost of all other parts directly affected by the failure and any labour costs incurred when the work is performed by an authorised Fuso dealer. That’s something most after market suppliers won’t provide. We know you want to keep costs down any way you can. That's why we offer a range of Genuine and Value Parts, as well as Kits to choose from, so you can get the most from your vehicle no matter how many years it’s been on the road. 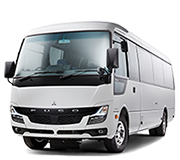 The number one choice for all Fuso trucks and buses. The quality, fit and performance of these parts return your vehicle to its original factory specification. When it comes to repairs conducted under warranty, Fuso will only use our best quality Tier 1 genuine parts to ensure you receive the best possible repair solution. A cost-effective Tier 2 range specifically designed for maintaining older vehicles. 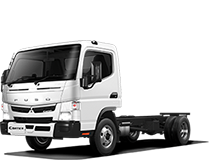 Delivering quality and performance, Fuso value parts provide a better alternative to going aftermarket because they are approved for use by Fuso engineers and backed by our 12 month warranty. The range includes: Air filter, fuel filter, oil filter, clutch, water pump, v-belt, wiper blades, brake lining/pads and bulbs/globes. Fuso kits contain everything you need to do the job properly. They make selecting the right bundle of parts easier and cheaper than if you were to purchase the parts individually. We offer a wide range of kits for any age vehicle that can be tailored to your needs, from filter kits and disc and drum brake kits to a full engine rebuild.